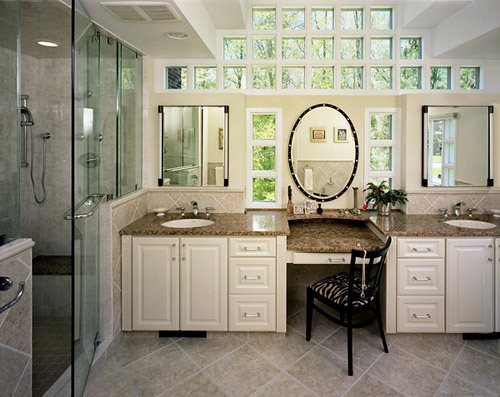 This master bath was transformed by virtually gutting and redesigning the entire space. Custom windows were designed to allow light to flood the space from the outside in. With a “his and her” vanity and a separate counter to serve as a makeup table, this couple will never be fighting for time. A large steam shower with large glass doors has replaced the existing soaking tub.